Just a few days ago, I launched Football Star Manager, my re-creation of the original 1982 Football Manager, onto Android devices in beta. I am happy to say many people are playing and enjoying the game. So now the game is in both major formats. It’s taken over a year to get to this, but it has truly been enjoyable to develop. Maybe that’s why the game is fun too. Rewriting the original Football Manager has been a pleasure and fun. Playing it is even better. I talk about the experience of playing because this is what the game is all about, how it feels when you play. I was playing as Torquay United, in the second division, to get there I had clocked up a lot of debt, about 80 million towards the end of the season. I deliberately cut back on and sold players to reduce the debt, and it was working, but at the expense of team performance. A 4-3 defeat at Blackburn pushed me down to bottom place with just 1 game to go! I often get asked about using real team and player names in my games, my Football Management games. Originally, way back in 1982, when I started doing this with the first Football Manager, there was no issue with this. Nobody cared about it from the licence owners .. 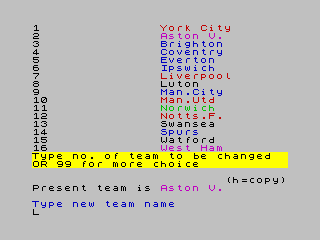 But, even then in the original Football Manager I included a customise capability, so you can modify the game to include your favourites. 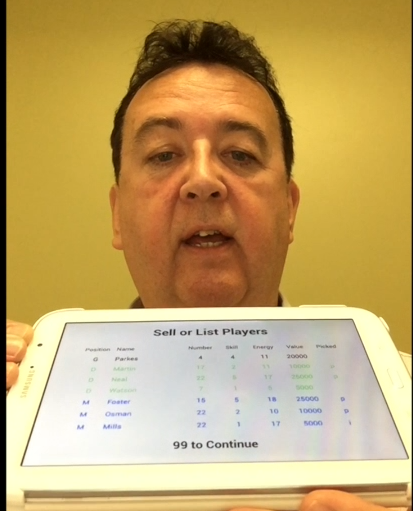 And, in my recent game, Kevin Toms Football on iOS I included it too. 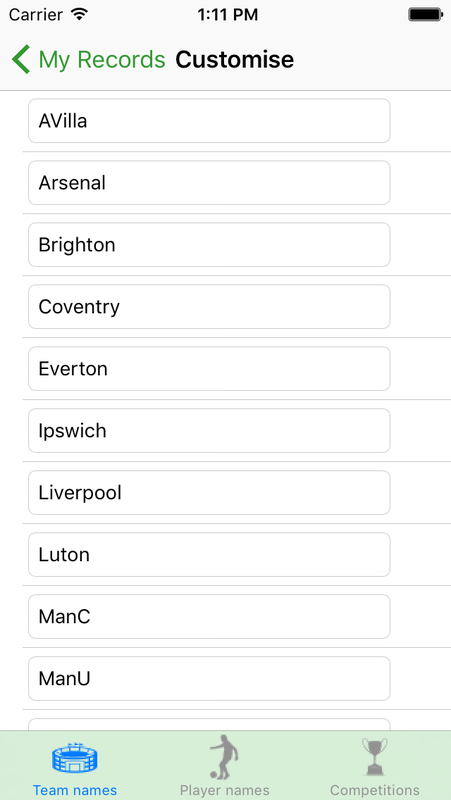 You can expect a tool to do this in every game I write, so you will always have access to your favourite team and player names.